In 1902, engineer name Willis Carrier patented the air conditioner. This appliance would have an immense impact on manufacturing plant productivity, building construction, cultural trends, and eventually the development of towns. He developed a device that would not only drastically change the workplace, but also significantly improve the living experience in regions with sweltering, humid temperatures. Ultimately, Carrier’s air conditioning system would transform society. Carrier was born on November 26, 1876 in Angola, New York. He received a state scholarship to attend Cornell University where he studied mechanical engineering and eventually obtained a master’s degree in 1901. His first profession was in the heating business, at the Buffalo Forge Company, working on commercial heating systems that dried goods such as coffee. While he started as a research engineer, he eventually became chief engineer of the company in 1906. Carrier was disappointed about the current engineering knowledge in his field. While compiling test data, he uncovered how he could quickly improve heating systems. Once the company saw that his research was saving them money, he was moved to be in charge of experimental engineering. He worked in the development of blowers and pre-coil heaters, among other things. Whereas efforts had been made to develop cooling system earlier, many were simply ventilation blueprint that just weren’t productive. In 1902, Carrier created a mechanical humidity controller for a printing store in Brooklyn. The machine was able to move air through a filter, then over coil holding a coolant. As a result, Carrier’s device could eliminate humidity from the shop and was also able to prevent the printing ink from running. A South Carolina cotton mill also found Carrier’s system to be functional by cooling off flaming-hot spindles. These humidity-controlling devices would eventually lead Carrier to develop his first air conditioning system. After some time, Carrier began receiving more commercial clients and started to improve his technology. His invention laid out the four basic principles of air conditioning: control temperature, control humidity, control air circulation and ventilation, and cleanse the air. In 1906, the U.S. Patent Office granted Carrier the patent for his “Apparatus for Treating Air”, the first global spray-type air conditioning machine. This device was designed to humidify or dehumidify air by heating water first and then cooling it down. Based on his earlier discovery that constant dew-pint depression provided constant relative humidity, Carrier designed an automatic control system a year later. He subsequently filed a patent claim, which he was granted in 1914. 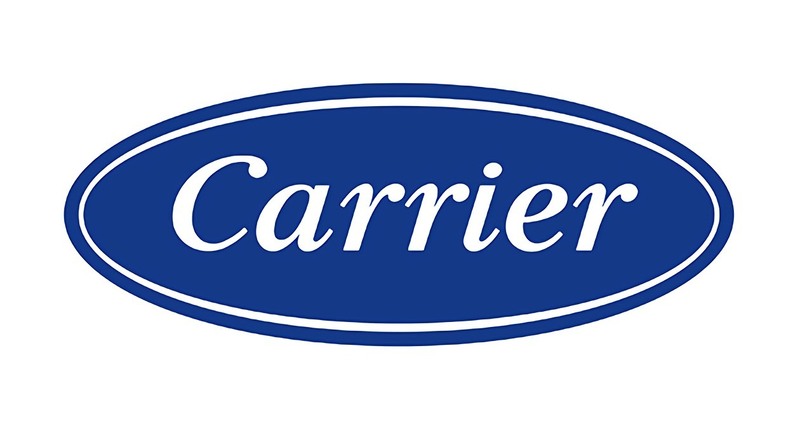 In 1915, Carrier founded the Carrier Engineering Corporation together with six other engineers. The business was dedicated in enhancing air conditioning technology. Briefly after the company’s inception, Carrier developed the centrifugal compressor, which used safe and non-toxic refrigerants and could be installed on a large scale cheaply. Throughout the 1920s, the Carrier Engineering Corporation installed air conditioning systems in manufacturing plants, hotels, theaters, stores, and other public institutions. By 1930, there were well over 300 movie theaters that had installed air conditioning systems. At that point, Carrier was running two plants in Newark, NY and another in Allentown, PA. In 1930, Carrier Engineering merged with two manufacturing businesses —Brunswick-Kroeschell Company and the York Heating and Ventilating Corporation. They eventually became known as the Carrier Corporation, with Willis Carrier as chairmen of the organization. While the Great Depression delayed residential and commercial use of air conditioning systems, the demand for Carrier’s latest invention – centralized home air conditioning – rose considerably after World War II and permitted his company to thrive again. The development of artificial climate control accelerated throughout the last half the 20th century. The implications of Carrier’s inventions are far-reaching. Air Conditioning increased productivity and thus stimulated the economy in areas with high temperatures, such as the American South leading to a need for HVAC technicians. Furthermore, one of the most notable installations of Carrier equipment was made at the Robinson Deep in South Africa, the deepest mine in the world. Lastly, Carrier started Toyo Carrier and Samsung Applications in Japan and South Korea, the latter now being the largest air conditioning manufacturer in the world. Carrier was not the first to invent a cooling mechanism, but he was the one to significantly transform society by creating the modern air conditioning system. Carrier passed away on October 7, 1950. At the time of his death, he held over 80 patents.